Still not having plans for easter? Not really feeling like booking a flight and housing? That actually happened to me last year. What if I would propose a road trip plan with wild-ish campings, bivouacs, mediterranean beaches, climbing and hiking? 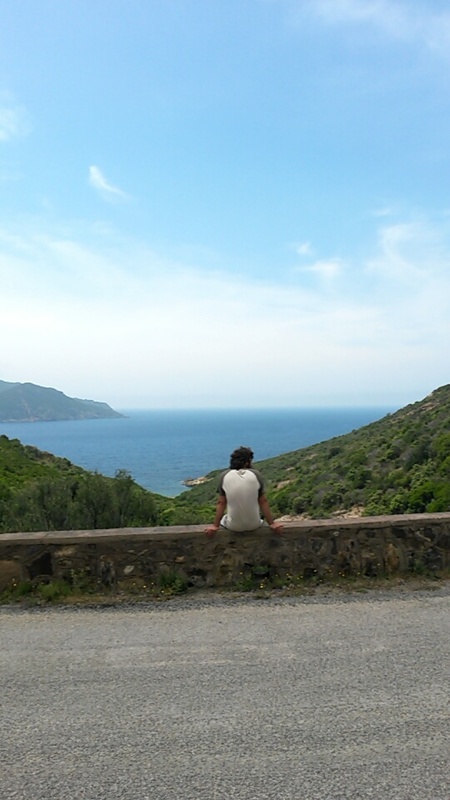 Last year I ended up in Corsica quite unexpectedly. At that time I was living in Chamonix, and out of a sudden I got a week of holiday. I did not had time to plan anything big, but as I was missing the sea, I chose the easiest; to head towards the coast of Liguria in Italy. In Chamonix you will hear everyone bragging about how cool FInale Ligure is, however I did not achieve to feel good there. The old town is beautiful and the climbing is incredible; no doubt. But there were too many people, the beaches are tiny and kind of stuck under the city’s promenade and completely occupied by the hammocks and parasols of the hotels. Don’t get me wrong, I could have had an incredible weekend of climbing and Italian vibes, but for a holiday I needed something more relaxed. One of the days, as we were driving along the coast, we saw a ferry terminal that was doing the connection with Corsica. At the ticket office we got informed that the journey lasted one night and the price for two persons and a car was 70€. Before we knew it, we were already on board. Corsica Ferries offers good connections from Genova, Marseille and Nice. I believe there are as well operators going from Barcelona and other ports. 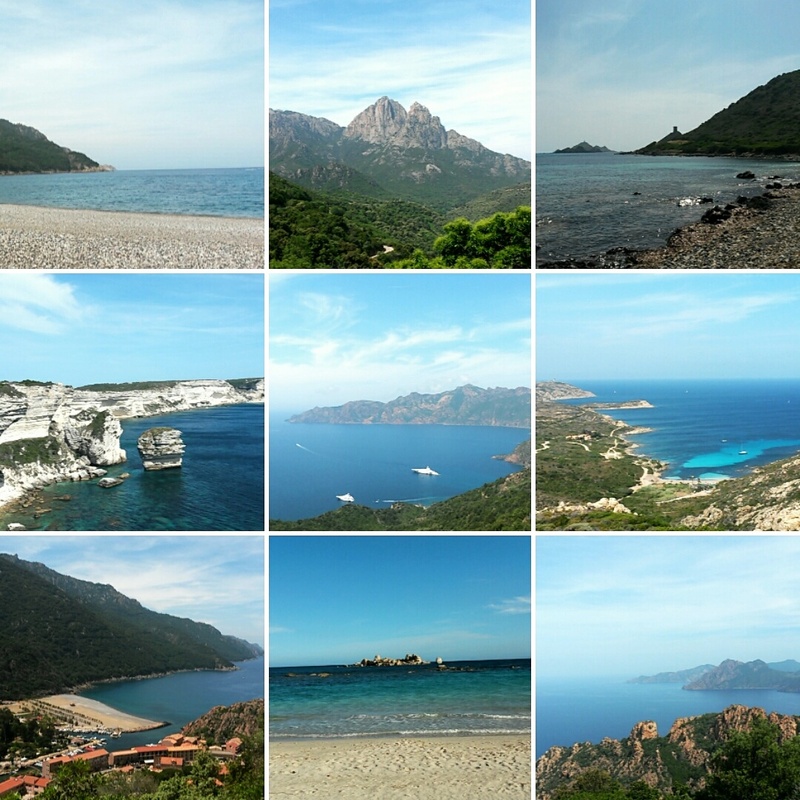 Corsica is VERY touristy in July and August, however it’s calm, wild and authentic the rest of the year. ONTHEBELAY Artic days on the Planks EP1: about winter in Tromsø and learning to fly. The next morning we woke up in Bastia, quite a nice city, we had an ice cream and headed towards the beaches of the east coast. As soon as you leave the city you start to have paradise like beaches on your left hand side and on your right hand side you are incredibly near the massif of the Monte Cinto and it’s 2700m completely covered in snow. The contrast is breathtaking. 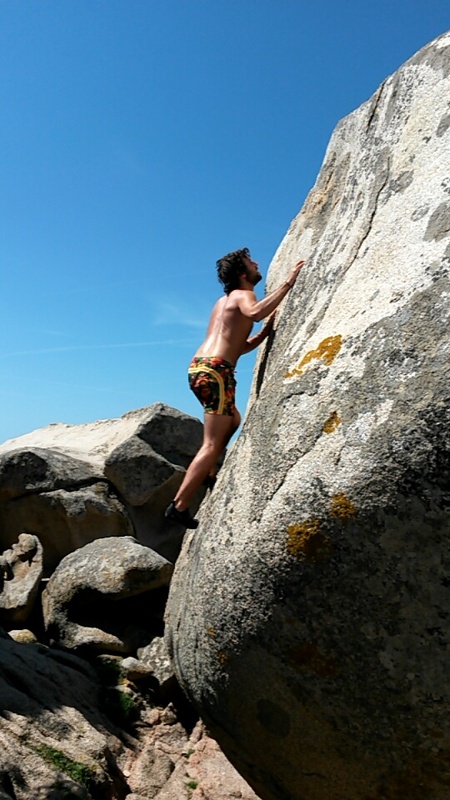 In Corsica there is a lot of high mountain and really good one. In fact most people going those dates go for the GR-20. However for us, coming from Chamonix, we were more craving coastline. 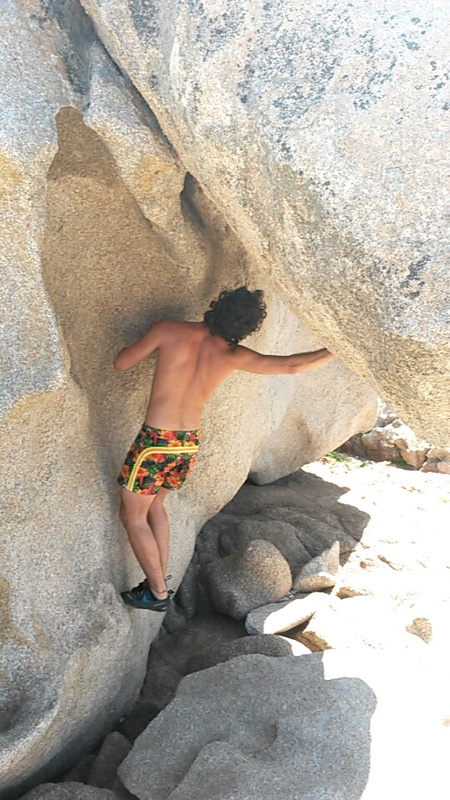 The whole island is full of granite. 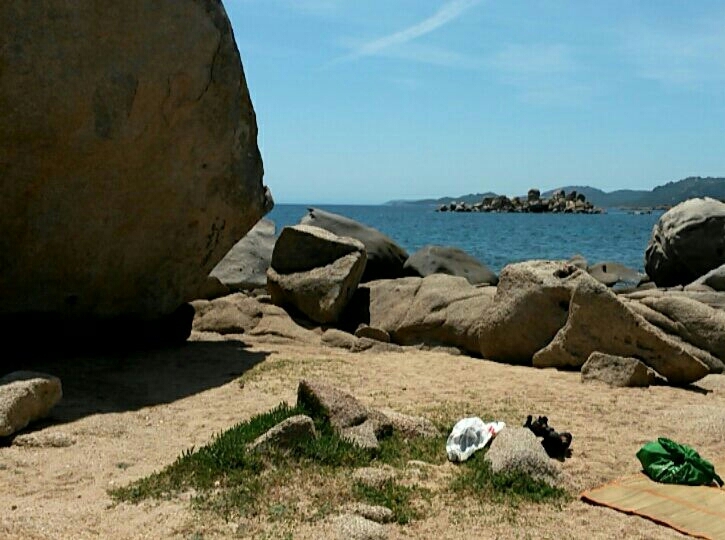 Just before Porto Vecchio there are several beaches full of granite boulders. The area around Piana with its roads sculpted in granite is truly an experience and the aiguilles de Bavella have such a power and strength that won’t make you miss the skyline of Chamonix. In fact, one of the best things about Corsica is that you do not need a “to do” list; it’s just so easy to find a powerful spot where you can just relax and enjoy the outdoors. Summing up, I only had a chance of been there six days. Our plan was driving a few hours everyday and the rest of the enjoy the outdoors. In six days we did the tour of the island without stress. We were far of doing it all, but in the end we got to hike, climb, been in the high mountain, exploring many beaches and spend time in villages that seemed to be stuck in a past time. Letting aside a few calanques and beaches suited with larger tourist infrastructures and the old town of Calvi and Porto Vecchio, it feels like you are alone on the Island. Don’t over think it, get your sleeping bag and tent in your trunk and head to Corsica! 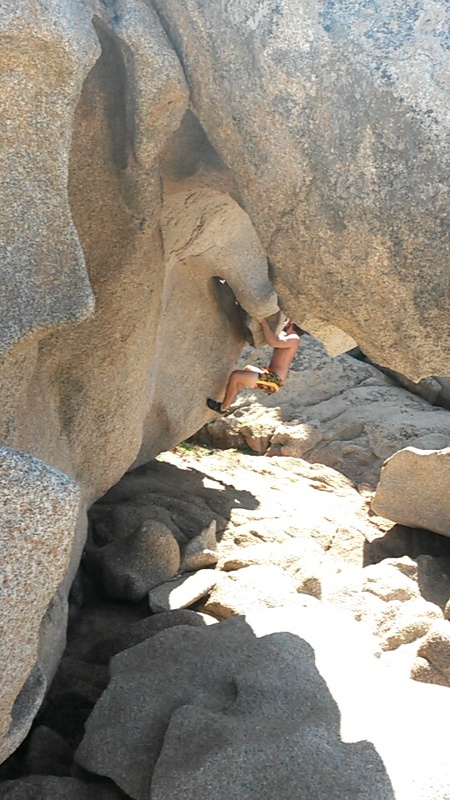 This entry was posted in Adventure Guide and tagged Climbing. Bookmark the permalink. 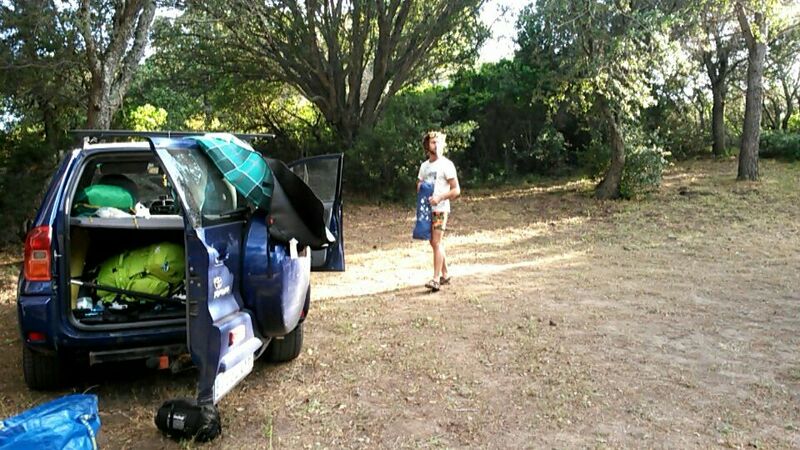 ← Packing up for a long surf trip. It’s a nice important a part of insight. I will be cheerful you simply propogated this useful data here. If possible keep us on the ball that fit this description. Many thanks for posting. Hi Jaime, Unfortunatly I do not have a newsletter yet, although we are working on it. If you have instagram or facebook follow on the belay @onthebelay and you’ll find all the latest news, post and video stories. Thanks Morton! I’m glad that you enjoy my readings! Thanks for the feedback Joey. I’m glad you enjoyed it! Thanks for the Feedback! It’s actually a customized theme that we’ve been working on it. Actually we are planing some style improvements hopefully coming soon. wonderful issues altogether, you just received a brand new reader. What might you recommend about your submit that you made some days in the past? Any positive?